Riverside Foods UK specialise in supplying a range of Halal, premium quality, frozen, pre-cooked chicken products. UK based Riverside Foods, offer total traceability to the egg as one of Europe’s largest fully integrated poultry production facilities in Croatia with state of the art feed mills, rearing farms and strictly controlled slaughtery and processing facilities. All of Riverside’s products are Halal and are produced and prepared in a facility purpose built for Halal slaughter and processing, ensuring the company’s products comply with authentic Halal certification requirements from animal welfare to slaughter. Riverside is certified by the Centre for Halal Quality Certification and has an open door policy regarding their Halal procedures and customers are invited to visit the factory and speak directly with the Mufti who is recognised and reputed in the UAE. 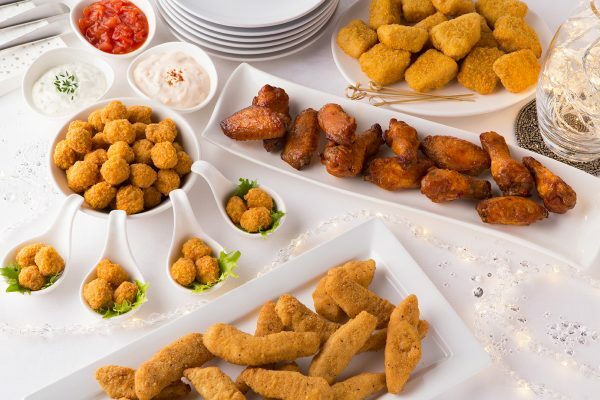 Riverside Foods have introduced a new range of Gluten Free chicken which includes Chicken Goujons, Chicken Chunks, Chicken Escalopes, Chicken Mini Fillets and Chicken Kievs. The products are made with 100% whole muscle, unprocessed, chicken breast coated in a delicious, golden, gluten free breadcrumb. The gluten free breaded chicken products are made to rigorous standards using the best ingredients and are clearly labelled to help customers identify them. Riverside’s products are BRC accredited to meet the AOECS Standard for gluten free foods and the manufacturing factory operates strict standards in terms of supplier and ingredient approval, including complete ingredient traceability. Riverside are also certified and licensed by Coeliac UK to carry the internationally recognised Crossed Grain symbol under licence number GB 071. 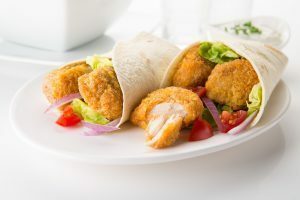 Riverside’s broader product offering includes a whole muscle range produced with unprocessed 100% chicken breast such as Chicken Fillets, Dippers, Chunks, Kievs and Goujons. Riverside’s further processed range is produced using chopped and shaped chicken meat and includes Chicken Steaks, Burgers, Nuggets and Popcorn. Riverside’s products are available in a variety of coatings from breadcrumb and batter to southern fried and hot ‘n’ spicy and many more. The products are individually quick frozen for convenience and are quick and easy to prepare with a five-way cook in minutes.